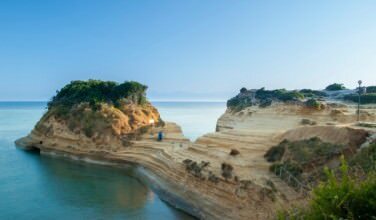 On the northern side of the Greek island of Corfu is where you will find the beautiful settlement of Sidari. 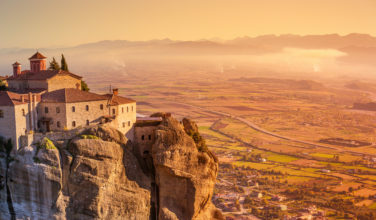 Millions of people around the world visit Greece every single year. 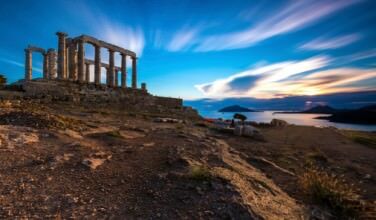 With the number of Greek islands in the thousands, time is of the essence when you’re vacationing in Greece. There is so much to see, so much to do, that you have to plan out your entire trip up to the second. So if there is so much to do and so much to see, why would you waste your time visiting a tiny, little settlement like Sidari? Why? I’ll tell you why. The population may sit somewhere south of 500 residents, but don’t let the number of inhabitants fool you. Sidari is one of the most frequented travel spots in all of Greece, and it’s no surprise why once you get there. Everyone comes to Sidari to see the Canal D’Amour, where you will find several different bays that are great for swimming, and beautiful rock formations that were sculpted by years and years of erosion. Visitors of the Canal D’Amour will tell you that it is the perfect place to catch an amazing sunset in northern Corfu. There are also plenty of bars and restaurants in the area, making this a great spot to commit a full day to. 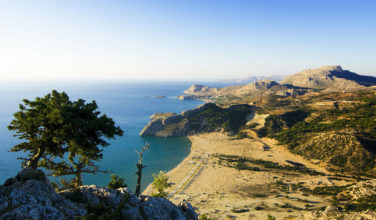 Beyond the Canal D’Amour, there is also Sidari Beach, which is one of the most popular beaches on the island of Corfu. The water has a beautiful turquoise color, and draws large crowds during the summer months. Sidari Beach is a great area, as it is lined with great restaurants that serve some of the best seafood on the whole island. If you walk the length of the beach, it will take you right to the Canal D’Amour, as well. But the fun doesn’t end there, as Sidari is also home to Sidari Water Park Fun Park. With tons of waterslides, swimming pools and rides, there’s a little something here for visitors of all ages. Relax in the lazy river, enjoy the excitement of the wave pool, and kick back in a sun bed for no extra charge. For the price of admission, it really is a great value. One of the most underrated perks about this waterpark is that — unlike many other waterparks in Greece — you can bring your own food into the park with you. If you prefer not to bring your own food to the park with you, there are places inside the park where you can purchase food, of course. 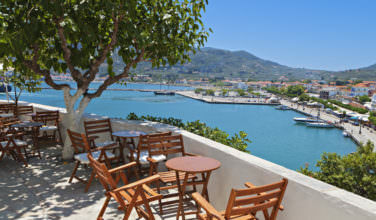 As far as the nightlife in Sidari goes, there are several popular bars in the area. If you polled a group of travelers who frequently visit Sidari on what the best bar in the settlement is, I’d be willing to bet that Mojitos would be the most popular answer. Mojitos does a great job of creating that tropical island atmosphere, and they’re known for having the best cocktails around. The bar is located right on the beach, so it’s a great location and you’ll be very pleased once you see how low the prices are.